Yes I know it sounds bossy of me, but I am having a real Dickens of a time figuring out how to layout the panel for my first Klee. The thread has grown to legendary size, and finding everybodies nice designs has become an equal sized pain. So, only if you feel like it post or repost your panels here. I thought double posts weren't allowed here? I can't repost mine if that is the case. Hmmm never read the rules! If this is the case will a nice moderator please remove this??? You know, there is some merit to moving the Klee panels here. There's so much discussion going on in the build thread and that's only going to get worse as we start building. I'll bring it up as tonight's moderator discussion topic, and we'll let you know pretty quick. My only issue is we probably have to clean up the other thread, and that's a chore, but there's enough of us we can probably manage. Let me bring it up. 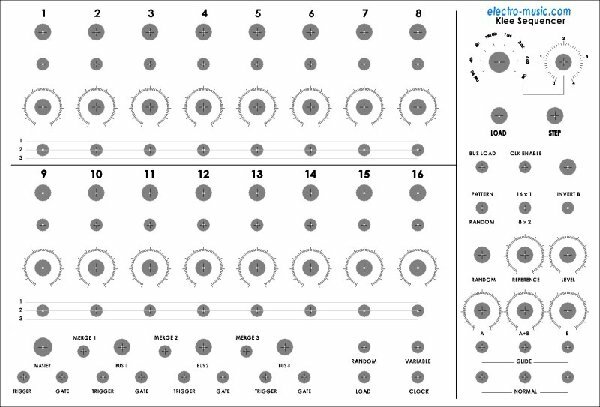 Wouldn't it be good to also have a Klee mp3 samples/songs thread? Shh. We're discussing that too the original threads really are too big, the interest here is immense. okay, this thread is officially legit. 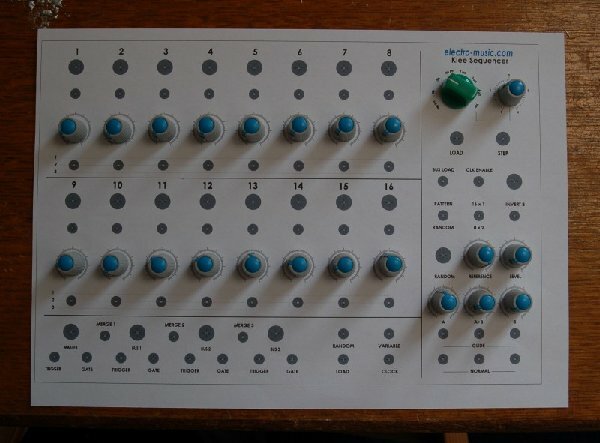 Please do post your panel pictures, from designs to prototypes to finished products here. I'm trying to think of a theme for a background picture, for my Klee's panel. (based roughly on the façade ergonomics of the humble 'microwave oven'?? - (joke!)). Well, out of necessity. As I said in the other thread, I print my own panels, which means they must be smaller than A4 size. That is one of the most impressive diy panels that I've seen here at e-m! A wonderful colour selection and very smart layout as well. Tempting me toward sliders as well. Nah! That's a quali'ee panel my Son! Whilst in the 'Great Room of Thought' (bathroom ) about 30 minutes ago - I finally thought of my POTENTIAL Klee panel artwork. If this pic remains as the final choice (as it will, so far) I'll do my best to copy it - once again, in black, grey and white pencil crayons. To me - the Klee DESERVES the honour of being related to the 1st digital computer. My Wiard Klee slider version. Need to do another 2 in different formats. 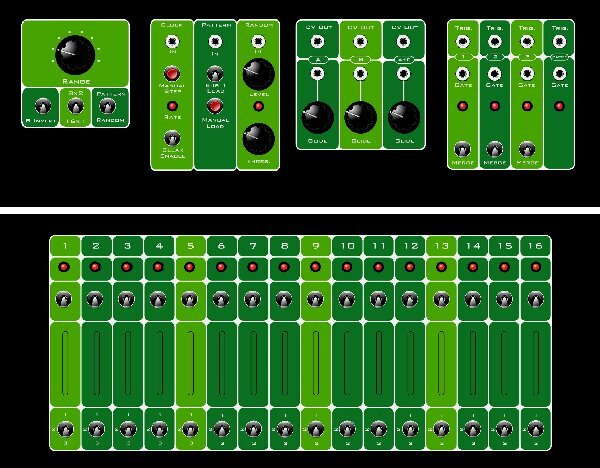 Heres the preliminary design for the panels for my Klee desktop unit. Its split into two panels (the console is wedge shaped). The sliders will be on a 15˚ sloped face. The other will be horizontal. all jacks are positioned in the back to help with wire management. I was heavily influenced by the work of the industrial designers over at DEC in the mid-sixties. Hopefully that shows. I'm going to have these reverse printed onto the back of 5 mil velvet lexan, so they'll be quite durable. LONG LIVE THE DEC! THAT looks PHENOMINAL! Can't wait to see photos of the finished product! Me too! 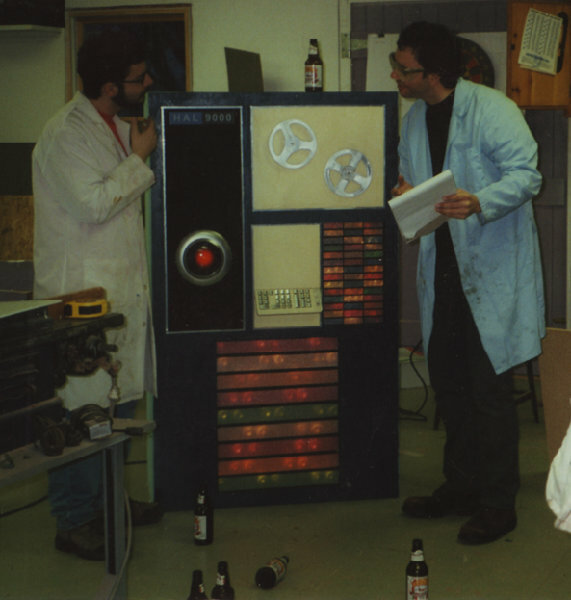 Here's a HAL prop I built for a 2001 new years eve party that my friend was DJ-ing.